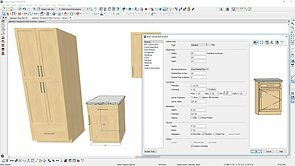 This series explores the various aspects of placing and modifying cabinet; learn how to use Manufacturer cabinet catalogs, corner cabinets and special shaped cabinets, applying molding and hardware, working with embedded appliances and fixtures. 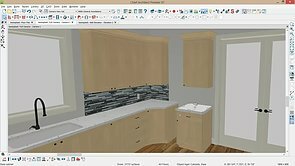 Create cabinet styles with special shapes - angled, bow, radius, peninsula, corner and curved. 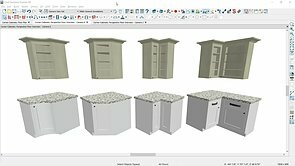 Some items in the library, Rev-a-Shelf items for example, are meant to be added to the back of a cabinet door or drawer panel. 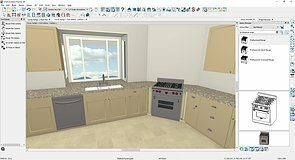 Use the Cabinet Specification to add these items. 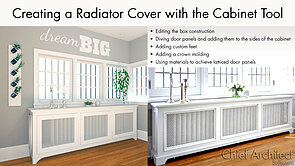 Customize a cabinet in order to make a radiator cover. 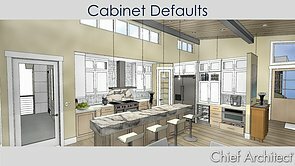 Custom cabinet hardware can be created using moldings that have been converted into a symbol. 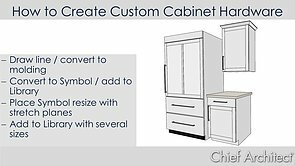 Use the Appliance/Door/Drawer option on the Front panel of the Cabinet Specification to apply different door and hardware styles to your cabinet. 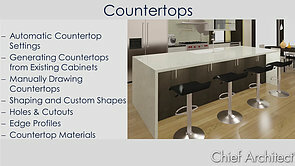 If you want produce a countertop plan, you can create a counter layer set to isolate the counters. 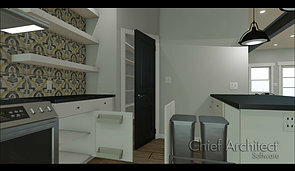 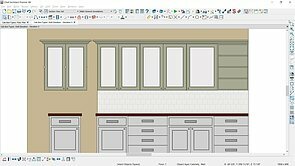 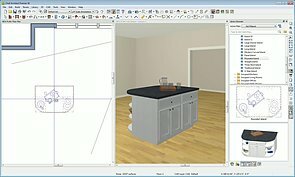 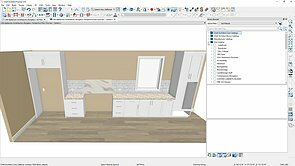 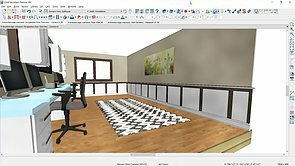 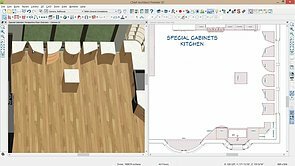 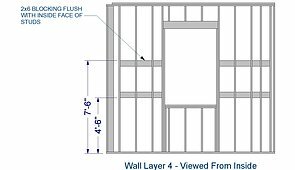 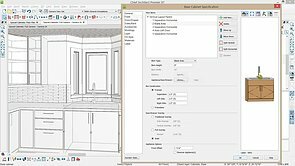 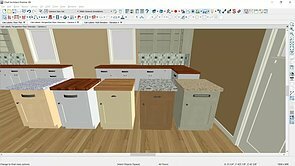 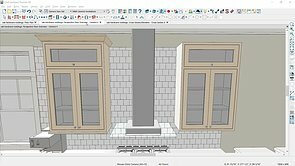 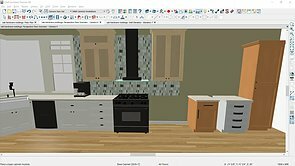 Use the wall bridging tool to creating a framing member for kitchen wall cabinets. 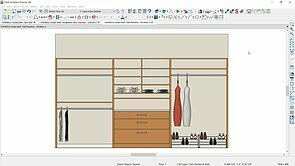 Create custom storage solutions using partitions, shelves and cabinets. 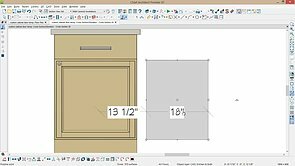 This video teaches you how to place a range and cabinets in a corner, angled at 45° . 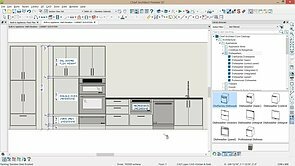 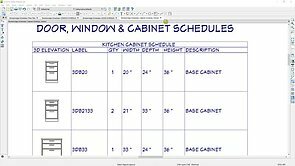 Control Fill Style for cabinet Plan View display. 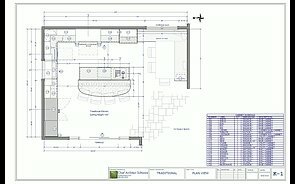 Adjust Line Weights in plan and elevation views. 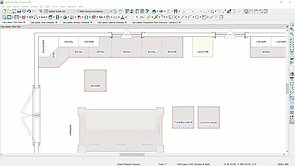 Add CAD Detailing to views and change layers, fill, and line styles to create space planning indicators and material patterns. 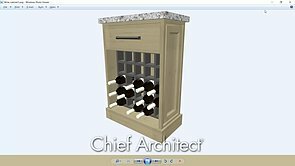 Leverage CAD Tools and Chief’s molding tools to create custom 3D objects. 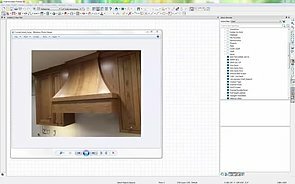 Draw a section view profile for your object and then extrude it into a custom size and shape using the molding functionality. 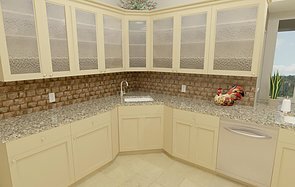 Learn to create a custom kitchen’s Ventilation Hood with inset panels. 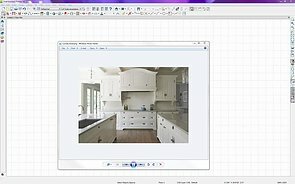 We’ll use the Polyline Solid and Molding Line tools to create a unique 3D object. 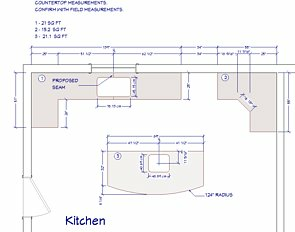 Draw in Elevation Views, create holes in polylines, make custom shapes by editing the CAD in 2D.